MKV is a container format developed by Matroska. It is becoming more and more popular since it can hold an unlimited number of video, audio, picture or subtitle tracks in one file. However, MKV can't be accepted by most mobile devices, Android Phone included. So how can you play MKV on Android phone? Android phones are rapidly gaining in popularity these days, recent news showed that Android phones have outsold Apple iPhone for the first time on record in USA. There is a huge rise in Android software too from the last 3-4 months. 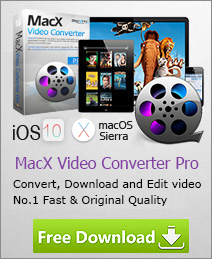 MacX Free Mobile Video Converter is aimed at making various video formats perfectly played on your Android mobile. With it, you can easily convert almost all video formats to Android video, especially the conversion from MKV to Android. This easy-to-control mobile phone video transcoder is capable of converting MPEG, RM, RMVB, VOB, FLV, MOV, Dvix, Xvid, WebM AVCHD, MPEG4 AVC, MKV, WMV, Blu-ray video, HDTV video etc to 3GP and MP4for playback on mobile phones such as Android, Blackberry and Nokia. Just follow this guide, which will teach you how to decode MKV to Android Phone. This video processing tool offers superb fast conversion speed to save your time and enables you to keep your video quality. Click the "Add File" button to import your MKV video which you want to play on Android phone. Or simply drag and drop video to the video to Android phone converter. After you have import the MKV file, you need to choose the output format. Here we choose "to Android". The video/audio settings will be adjusted automatically. You can also set your own parameters as you need. Click "Browse" button in output setting area, select a destination folder in the dialog box that opens, and then click OK.
After finishing the above settings, check the files needed to convert in the file list, and click "RUN" button on the main interface to start converting. The progress bar will show you the conversion processing. After MKV to android conversion completed, you can transfer the converted video file to your Android smartphone and enjoy. 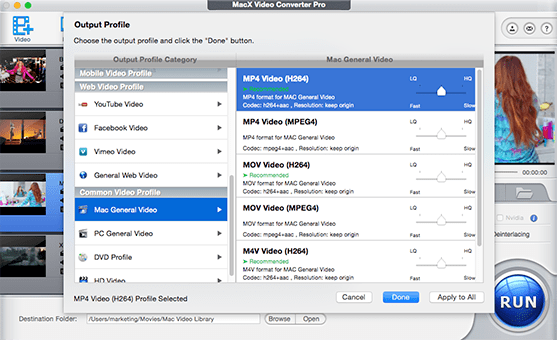 MacX Free Mobile Video Converter makes it simple to encode video to 3GP and MP4 for playing on mobile phones such as Blackberry, Nokia and Android. This guide shows you how to use the free video to Android phone converter to convert and put video to Android phone to enjoy video freely. Is it possible to play iTunes purchased movies on Android phone or tablet? Of course, yes! there are 4 efficient ways to for you to watch iTunes movies on Android freely and smoothly.